When her parents and only brother die within weeks of each other, Alicia and her younger sister are left in the hands of an uncle who has brought them all to financial and social ruin. Desperate to save her family from debtor’s prison, Alicia vows to marry the first wealthy man to propose. She meets the dashing Lord Amesbury, and her heart whispers that this is the man she is destined to love, but his tainted past may forever stand in their way. Her choices in potential husbands narrow to either a scarred cripple with the heart of a poet, or a handsome rake with a deadly secret. Cole Amesbury is tormented by his own ghosts, and believes he is beyond redemption, yet he cannot deny his attraction for the girl whose genuine goodness touches the heart he’d thought long dead. He fears the scars in his soul cut so deeply that he may never be able to offer Alicia a love that is true. When yet another bizarre mishap threatens her life, Alicia suspects the seemingly unrelated accidents that have plagued her loved ones are actually a killer’s attempt to exterminate every member of her family. 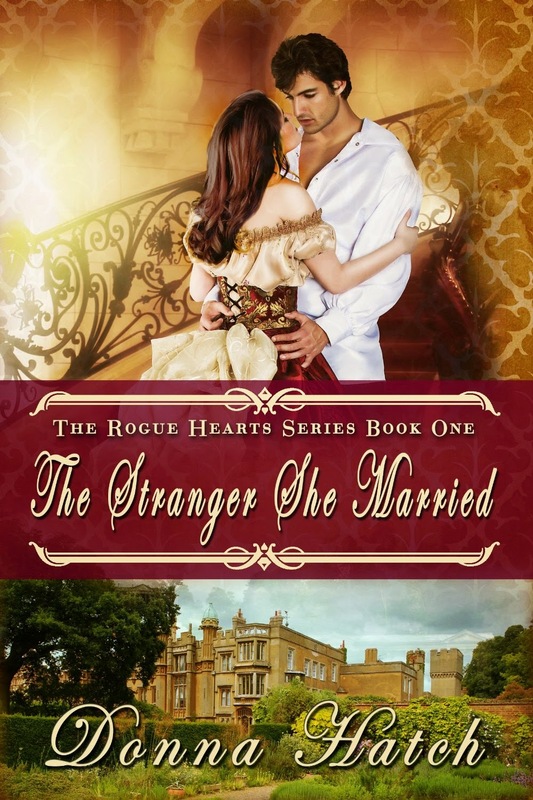 Despite the threat looming over her, learning to love the stranger she married may pose the greatest danger of all, a danger to her heart. Who is ready for a Regency Historical Romance!?! Let’s get into this book. Now let’s take a look at the author of this book. Author of Historical Romance and Fantasy, award-winning author Donna Hatch is a sought-after speaker and workshop presenter. Her writing awards include the Golden Rose and the prestigious Golden Quill. Her passion for writing began at age 8 she wrote her first short story, and she wrote her first full-length novel during her sophomore year in high school, a fantasy which was later published. In between caring for six children, (7 counting her husband), her day job, her work as a freelance editor and copywriter, and her many volunteer positions, she still makes time to write. After all, writing IS an obsession. All of her heroes are patterned after her husband of over 20 years, who continues to prove that there really is a happily ever after. Make sure you check out the blogs that are spotlighting Donna and her book today.